By joining this challenge, you're going to walk in the shoes of Reeta to raise awareness and funds for COHI. For one day of your choosing, you will eat her local diet and share your food images on social media, using #inhershoesCOHI. We welcome you to also blog about your experience. Find easy downloadable social media guidelines and your shopping list below! Reeta is 16 years old and lives rurally in the Gorkha region of Nepal. Her father is a migrant worker in India where he drives trucks. Reeta has four younger siblings and all work on the family farm. Her mother, pregnant with her sixth baby, must also work as hard as her children. Work becomes especially hard on the family when Reeta and her younger sister menstruate. 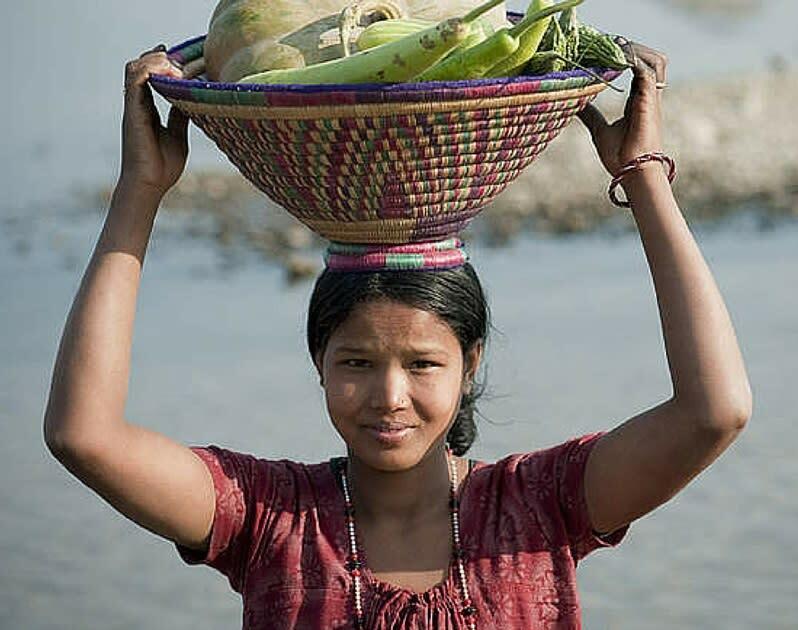 Nepali culture dictates that she and her sister exclude themselves from the rest of their community when menstruating, and they sleep in exposed lean-to's and eat a “cleansing” diet that is nutritionally poor. Just how bad is the situation? Food security is a serious concern for rural and mountainous regions of Nepal. Rural areas face 3 problems: poor agriculture, lack of infrastructure, and climate change. 35% of women of reproductive age are anemic, and 46% of pregnant women are anemic. Over 60% of children are stunted because of malnutrition in rural and mountainous regions. Most rural households have little to no access to health care, education, clean drinking water, sanitation, etc. and most rural women live in extreme poverty. Cultural prejudices against women mean they have less access to services, education, and healthcare, as well as food resources both in and out of the home. Over 60% of women work agriculturally but do so with archaic farming techniques that require intense labor. ½ cup of pickled veggies on the side. Download your grocery shopping list. Social Media Tips and Examples.